The Global Read Aloud 2014 may be several months away but here at GRA headquarters, which is really just in my head, the wheels are spinning. Here is some key information for 2014.
Who is the author study? What are the book choices? Which book should I read with my class? New this year is the removal of grade levels. Please read the book that you think will garner the best connections, investments, and discussions in your classroom. Your know your group best! Yes, most of them! I have been in touch with 3 of the 5 and will release details as soon as they are settled. Some are more involved than others depending on how busy they are. A great place to start are the Edmodo groups that have already been set up. These are for teachers only, no students, and are meant to be a place to find people to connect with, to ask questions, and to share ideas. The discussions have already started but will continue throughout the summer. What’s the “Share a Book” initiative? This year, to really bring in the global connections, I hope you will send a book representative of your area to the class (es) you connect with. I also hope you will mail one to me if you feel like it. The idea for this extension came from receiving a picture book from Uganda and the impact it had on my school. Nothing, except for the book cost, which you get yourself. I don’t make any money off of this and there is no cost to be a part of it. Yes! 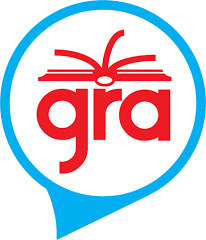 With more than 200,000 connections made in the past 4 years, GRA is used in over 30 countries on 6 continents, with even more signed up this year. There has been in the past, so probably yes, but I find it to be rather expensive for people to buy which is upsetting to me. So if you have any ideas of how to make merchandise cheaper and get it to people, please contact me! I have no clue what to do! Mass consumer of incredible books, Pernille Ripp, helps students discover their superpower as a former 5th grade teacher, but now 7th grade teacher in Oregon, Wisconsin. She loves children so much she decided to have 4 of her own with her soulmate Brandon, who keeps her laughing. Her first book was published this May by Powerful Learning Press entitled “Passionate Learners – Giving Our Classroom Back to Our Students.” Her work has been featured by Edutopia, School Library Journal, MiddleWeb, Learning &amp; Leading magazine, as well as in many podcasts and interviews. She teaches others how to give the classroom back to students through webinars, as well as to anyone who walks into her classroom.